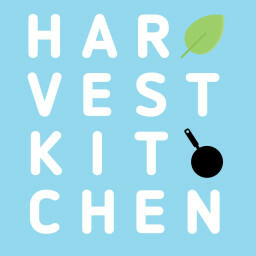 The Harvest Bunch is a base plan of 4 dishes. You have the flexibility to create the combination that works for you based on your needs for the week. Do you need dinner for 4 nights? Dinner and lunch? A breakfast quiche and several dinners? You choose! You can select duplicates of items or order 4 separate dishes. Need more this week? No problem, you can add on items or remove them week to week, with a minimum of 4 dishes. Starts at $56.00 a week. The Harvest Basket is a base plan of 7 dishes. You have the flexibility to create the combination that works for you based on your needs for the week. Do you need dinner all week? Several meals for two? Breakfast, lunch and dinner for certain days? You choose! You can select duplicates of items or order 7 separate dishes. Need more this week? Having guests? No problem, you can add on items or remove them week to week, with a minimum of 7 dishes. Starts at $98.00 a week. The Harvest Bounty is a base plan of 12 dishes. You have the flexibility to create the combination that works for you and your home based on your needs for the week. 12 dishes will allow you to create weekly meal options for breakfast, lunch and dinner, or dinner for several days – You choose! You can select duplicates of items or order 12 separate dishes. Pick just what your household needs and customize it to each person’s preferences. Need more this week? Having guests? No problem, you can add on items or remove them week to week, with a minimum of 12 dishes. Starts at $168.00 a week. Want to place a order this week but not select a meal plan yet? Choose from any of our local, seasonal and delicious dishes! Just enter your information and pick your products.